First it was a fire station. Then it was De Rosa’s Brick Oven Pizza. Eventually the tall, slender building on Wilton Road became Neat: a coffee shop by day, wine bar at night. 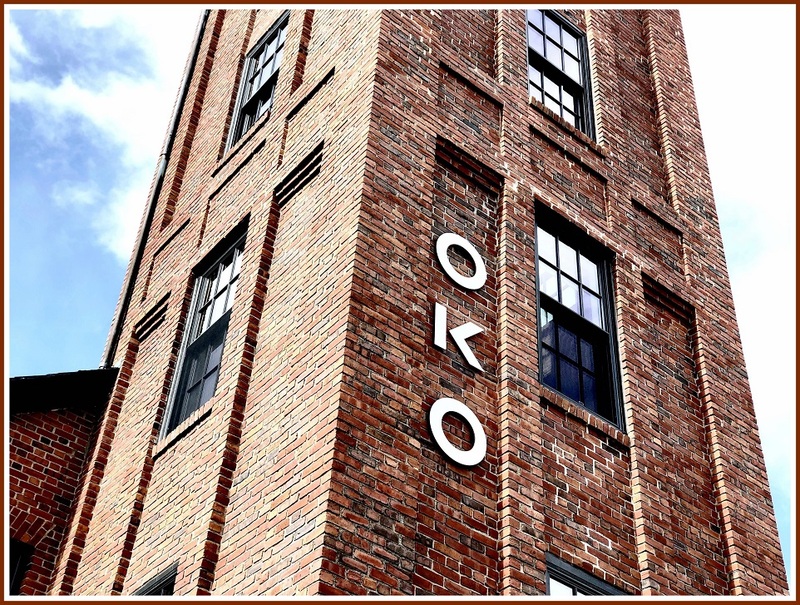 Now the former Vigilant Firehouse — tucked between Bartaco and The ‘Port — will become OKO. The Japanese restaurant has great promise. It’s the latest project for chef Brian Lewis, who draws raves for his innovative cuisine at The Cottage in Colonial Green. Lewis has studied Japanese cooking techniques for many years. 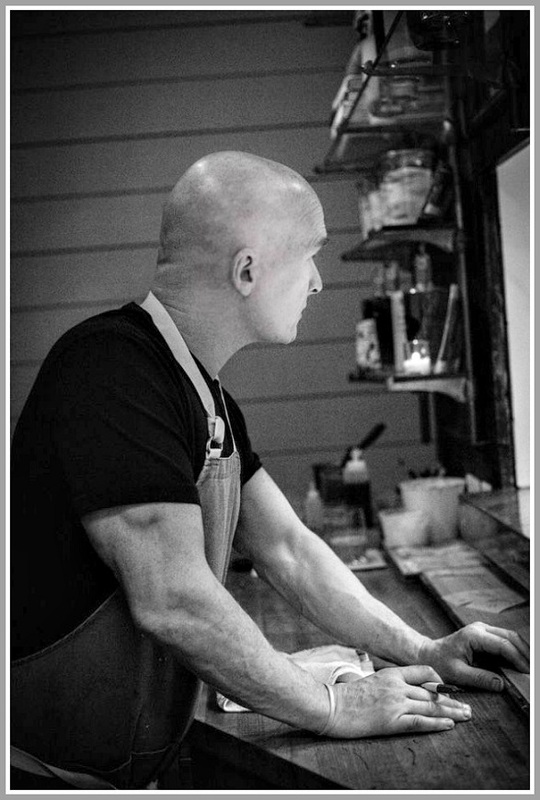 He’s layered Japanese influences into his cooking. But when he introduced the Okonomiyaki — a savory Japanese pancake filled with seasonally inspired ingredients — to the Cottage menu, he realized he was on to something special. Guests loved the dish — “Japanese street food with some rarefied touches,” he calls the immediately popular dish. But it’s not easy to say “Okonomiyaki” (unless you’re from Japan). So, in a non-tongue-twisting tribute, Lewis is calling his new venture OKO. Lewis will of course include local ingredients on the OKO menu. An opening date has not yet been announced. But the sign went up this afternoon. This entry was posted in Looking back, People, Restaurants and tagged Chef Brian Lewis, OKO restaurant, Okonomiyaki, The Cottage restaurant, Vigilant Firehouse. Bookmark the permalink. Brian is an artist! Food is amazing and blessed with perfection! Him and his GM Charlie create an incredibly happy and cozy environment and this will be an awesome addition and something lacking in Westport’s restaurant scene! Best of luck, cant wait! Oh how I miss Neat. Luckily I work in Darien, so am able to frequent their location there. It’s a shame they closed their Westport location though. Do we really need another Asian place…? This is exciting, can’t wait! Yay!! I had Okonomiyaki for the first time in Hiroshima, Japan in the 80’s and thought it was amazing! I thought it was the perfect food that could translate well to the States (its essentially like a Japanese version of pizza) and looked for it in NYC where I was living at the time. There was one place that served it – near Grand Central and I went often until it closed – sometime in the 90’s and I have been wishing for a restaurant that serves it ever since! I’m super happy we will have this rare (at least here in the US) dish right here in Westport – and, no, it is not like any other Asian food!